Effective commercial litigation requires extensive research and preparation to ensure the best possible representation of the client and the best possible resolution of his/her commercial litigation case. Michael is dedicated to serving clients throughout Massachusetts with their commercial litigation needs while providing professional representation and unwavering commitment. Michael blends a broad knowledge of real estate law and business practice with well-honed skills in litigation, mediation, and arbitration. Michael has successfully litigated real estate contract disputes, real property improvement issues, quiet title issues, construction defect cases, easement or restrictive covenant disputes, premises liability and boundary line disputes. In addition, he possesses experience in the areas of commercial and residential foreclosures and homeowners associations and condominium law. Michael has extensive experience litigating and resolving personal injury claims from an insurance defense approach. This has allowed him to gain a unique and valuable perspective of how insurance companies evaluate, handle, and defend personal injury cases. Michael understands how to effectively navigate through the initial claims process and ultimately through trial if necessary. He brings this experience and insight to representing and assisting individuals and families throughout Massachusetts with their personal injury needs. Michael is always accessible if you need to talk to an attorney about an injury that you or a family member sustained in any type of accident. Drafting employee handbooks, manuals, policies and procedures governing a wide array of workplace issues. Conducting training seminars to ensure employees understand anti-retaliation and whistle-blower policies and procedures and can protect their employers from employment claims. Providing advice on hiring, discipline and termination, harassment and discrimination complaints, and compliance with Federal, State and local laws such as Title VII of the Civil Rights Act of 1964, The Americans with Disabilities Act, and The Age Discrimination in Employment Act. 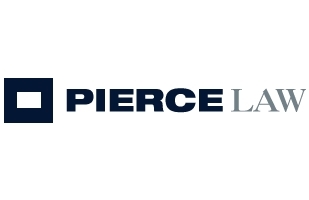 Litigation is the strength and foundation of Pierce Law. In those instances when a dispute stemming from the employer-employee relationship cannot be quickly resolved, Michael is fully equipped and prepared to represent you in federal or state court and before administrative agencies and arbitrators. He develops and adapts litigation strategies to the particular facts of each case with his client’s specific business needs and objectives. Michael routinely advises clients regarding the costs and benefits of different strategies, including settlement and trial in assessing and minimizing potential litigation risks at each stage of the case. As part of this process, he evaluates the feasibility of less expensive alternatives to litigation, including mediation or arbitration. Michael’s focus is always aimed at providing prompt, creative, efficient and responsive legal guidance to his clients. Michael has experience drafting, reviewing, and negotiating commercial leases, and assisting either landlords or tenants with issues relating to evictions, past-due rent collections, non-monetary and monetary lease defaults, exclusive use and other restrictive covenants, insurance issues, failure to make repairs, and other commercial landlord-tenant disputes. He has represented commercial landlord clients who own and operate various types of properties, and he offers comprehensive landlord/tenant law services that address the assortment of needs that landlords have or eventually will encounter.